Bob Terry immersed himself early in cross-cultural and peace education programs of The Experiment in International Living and the American Friends Service Committee. While working in Boston's United South End Settlements leading the first Massachusetts Service Corps team, he learned how Jane Addams inspired America's settlement house movement, the social work profession, and the concept of full-time, long-term civic service. Terry studied village community development and Gandhian civic service during his 1957-59 travels across India and Pakistan, and thereafter in graduate school. Then Peace Corps Director Sargent Shriver chose him to lead the first team of Volunteers fielded in 1961-63 to then-East Pakistan (later Bangladesh). Later, as Legislative Assistant to Representative Henry S. Reuss, Terry learned how Reuss in 1959-60 had designed the Peace Corps legislation in the House of Representatives. Terry was a founding member of the National Service Secretariat and active with it from 1966-91. Its research helped design national, state, and local service programs, private initiatives like City Year, and early service-learning programs in schools and colleges. Terry also helped establish Oxfam America, serving as a founding Trustee and early Board Chair. Today, 40 years later, it is a major development agency. As a member of the International Association for National Youth Service, he tracked how other countries launched service programs. 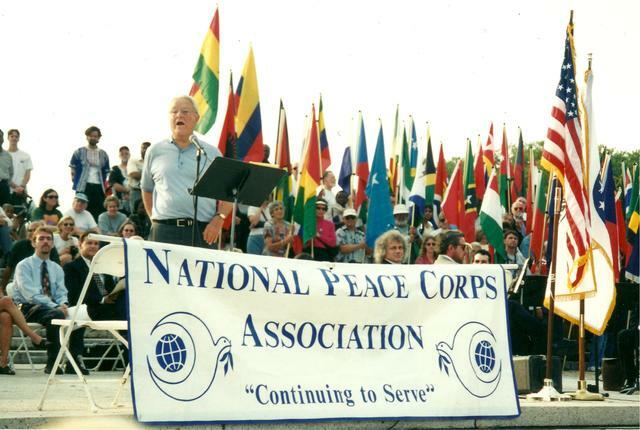 Later, as a Director of the National Peace Corps Association, Terry helped strengthen its services and governance. These, and many other NGOs, are part of the Peace Corps' lasting legacy. Terry's internship in management came with three years of U.S. Navy sea duty on a destroyer as an operations officer. His internship in journalism occured while studying village development in India and Pakistan and contributing articles to The Christian Science Monitor, The Indian Standard, and The Economic Weekly. For Senators Hubert H. Humphrey and Eugene J. McCarthy, Terry organized advance teams which set up their presidential campaign events nationwide. These introduced him to practical politics in many states. In 1969, he directed the start of the McCarthy Historical Project. During his 27 years as an Arthur D. Little consultant, Terry assisted managers of development agencies in the Middle East, Eastern Europe, and South Asia. He commuted regularly to Bangladesh, Pakistan, and India to help such clients as the Bangladesh Agricultural Development Corporation. Also as a faculty member for 20 years of the Arthur D. Little Management Education Institute, he taught graduate courses for development agency managers. For over 45 years, Terry served The Experiment in International Living (now part of World Learning) as volunteer team leader, staffer, and Trustee. 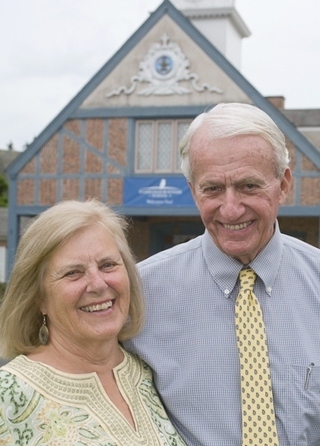 In 1965, he was a founding team member of its School for International Training (now SIT Graduate Institute), designed for Returned Peace Corps Volunteers to earn professional degrees while they reflected on their service. Judith Terry, married to Bob, served as a Peace Corps Volunteer in mid-life, 1987-88. Her skills as a long-time business owner helped small, especially women-owned, businesses in Honduras develop and execute business plans. She later helped lead Boston-Area Returned Peace Corps Volunteers and was elected a Director of the National Peace Corps Association. Terry was educated at Harvard College (American history and literature), Delhi School of Economics, Fletcher School of Law and Diplomacy, and Harvard Graduate School of Public Administration (now Harvard Kennedy School).